The FBI is warning state officials to boost their election security in light of evidence that hackers breached related data systems in two states. In a confidential "flash" alert from its cyber division, first reported by Yahoo News and posted online by others, the FBI said it's investigating the pair of incidents and advised states to scan their systems for specific signs of hacking. 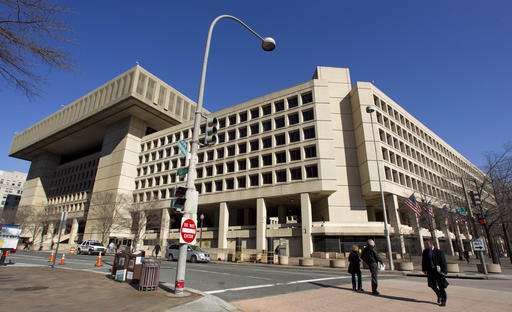 The FBI said Monday that it doesn't comment on specific alerts, but added that it routinely sends out advisories to private industry about signs of cyber threats that it comes across in its investigations. The FBI didn't name the states that were breached. State election websites in Arizona and Illinois experienced hack-related shutdowns earlier this summer. In both cases, the parts of the websites attacked involved online voter registration. The FBI's Aug. 18 warning also came just days after Homeland Security Secretary Jeh Johnson hosted a call with secretaries of state and other state election officials to talk about cybersecurity and election infrastructure. In that call, Johnson said that while DHS isn't aware of any particular cyber threat against election-related computers, it's "critically important" to make sure that election systems are secure amid a rapidly changing threat landscape, according to a DHS summary of the call. Federal officials are becoming increasingly concerned about the possibility that hackers, particularly those working for Russia or another country, could breach U.S. elections systems and wreak havoc on the November presidential election. Some experts, along with Democrat Hillary Clinton's campaign, believe that Russia was behind the embarrassing email hack of the Democratic National Committee right before its national convention last month. The hacked emails showed an apparent lack of neutrality in the primary race between Clinton and Bernie Sanders, with some party officials disparaging Sanders.